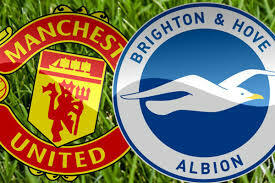 Manchester United welcomes Brighton & Hove Albion in a game from the 23th round of the Premier League. Let’s take a look at this fixture at the Old Trafford in Manchester. Manchester United are living a new life under the management of the club legend Ole Gunnar Solskjaer. The Norwegian tactician replaced the sacked Jose Mourinho and he’s doing wonders since his arrival. Right now United are in a run of five consecutive wins in the Premier League under the management of Solskjaer. Now they will try to make it six in a row. This great run helped United to go up to 6th place in the Premier League standings. Of course, the club’s goal is to enter the Top 4 and qualify for the Champions League. Right now the Red Devils are 6 points behind the 4th Chelsea, so they need to continue winning in order to achieve their goal. 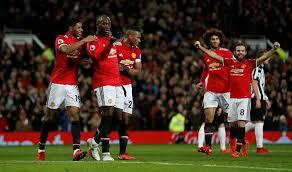 In their last game Manchester United enjoyed a very important 1-0 win during the visit to Tottenham Hotspur at the Wembley. The only goal in the game was scored by Marcus Rashford, who put the ball behind Hugo Lloris’s back after an assist from Paul Pogba. Brighton & Hove Albion on the other hand are 13th in the Premier League standings with 26 points. Their record at the moment shows 7 wins, 5 draws and 10 defeats. In their last five games Brighton & Hove won just once – against Everton, doing two draws and suffering two defeats. In their last game Brighton & Hove Albion suffered a 0-1 defeat at home against Liverpool. The Reds won this one thanks to a winning goal from Mohamed Salah after the start of the second half. That’s what we had to say about the Premier League fixture between Manchester United and Brighton & Hove Albion.